On February 11, the U.S. will celebrate National Don’t Cry Over Spilled Milk Day. For most people, the day serves as a reminder that it doesn't do any good to be unhappy about something that has already happened or that you have no control over. For the dairy industry, perhaps it can serve as a chance to put a dismal two years behind them, and to begin looking toward what many are predicting is a recovering market. 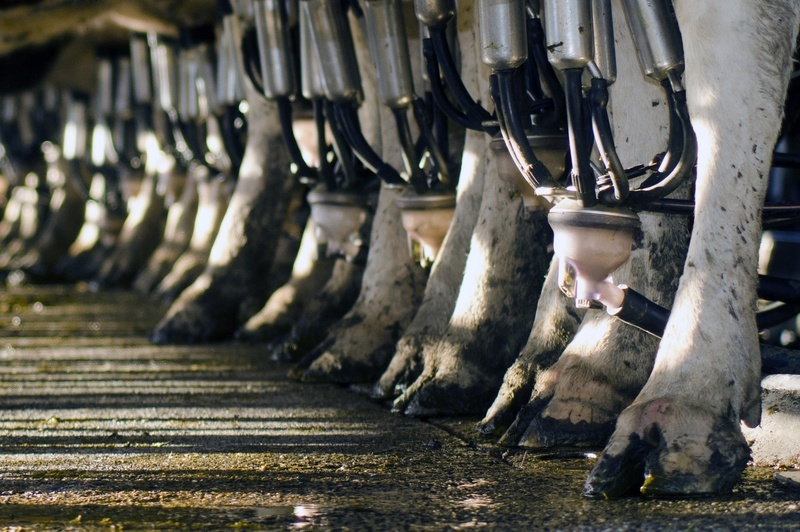 The dairy industry's woes culminated last October, when an enormous milk glut forced dairy farmers to dump 43 million gallons of milk, the largest amount of milk waste in 16 years. At the time of the milk dumping, dairy farmers’ earnings had also fallen almost 35% over the two prior years, according to the USDA. With closings and consolidations already trending in the industry (for example, Pennsylvania went from being home to 9,629 dairy farms in 2002 to 7,829 farms in 2012), the low prices and high losses accelerated the trend. Even small dairy-producing states felt the effects; New Hampshire, burdened by drought in addition to the lagging industry, lost 16% of its dairy farms in just the first eight months of 2016. The crisis became so severe that the USDA bought $20 million in cheese on two separate occasions in 2016 for use in food pantries and school lunch programs to ease the oversupply. So what caused the crash of dairy prices? One of the main factors was increased production. On the heels of record prices in 2014, many dairies bought more cows to ramp up production and capitalize on the high prices. However, when challenges arose in the international market (such as Russia’s ban on most U.S. dairy imports and decreased interest from China), milk lost valuable import markets. Additionally, the strength of the U.S. dollar made other nation’s outputs more appealing on the international market. Dairy was also challenged at home in the U.S., as consumers have gravitated more toward soy milk, almond milk, and other non-dairy beverages in recent years. The good news is that milk prices rebounded in December and many experts are predicting a dairy comeback in 2017, citing lagging international milk production and low feed costs as triggers for stronger prices. Despite the positive predictions, most will agree that any comeback will fall short of 2014’s record-high prices. As the saying goes, “there's no use crying over spilled milk”—and while dairy farmers can’t control international markets or the strength of the U.S. dollar, there are actions they can take to weather boom-or-bust cycles, like controlling costs, including tires. Alliance Tire makes farm tires that deliver all the features and performance of our big-name competitors, without the big price tag, giving farmers the performance they need while allowing them to trim operational costs. With resurgent prices and an optimistic outlook, the dairy industry could be poised for a comeback year. Smart farmers will be prepared to capitalize by reducing inefficiencies, increasing productivity, and lowering costs to begin undoing the damage done over the last two years, and Alliance is here to help. Alliance farm tires are designed to meet the needs of today’s farmer by helping to decrease downtime, reduce fuel costs, and provide a low cost of total cost of ownership (TCO), all while delivering the durability and reliability demanded by dairy farmers looking to make up for lost time. With tire options for everything from tractors to manure spreaders (check out how we outfitted Nuhn’s most advanced manure tanks), there is no piece of machinery we can't equip! Contact your Alliance Tire dealer today to find out how we can help your dairy farm.